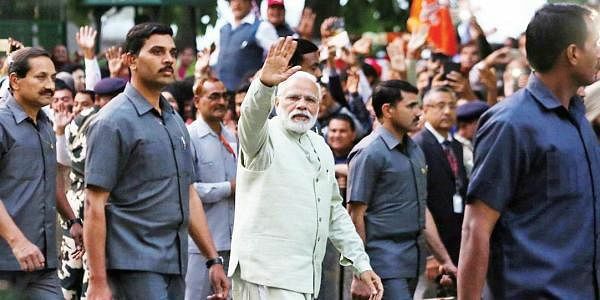 In her letter, Aqeedat Naveed highlighted on the need for peace between India and Pakistan, and said that Prime Minister Modi can help speed up the process. 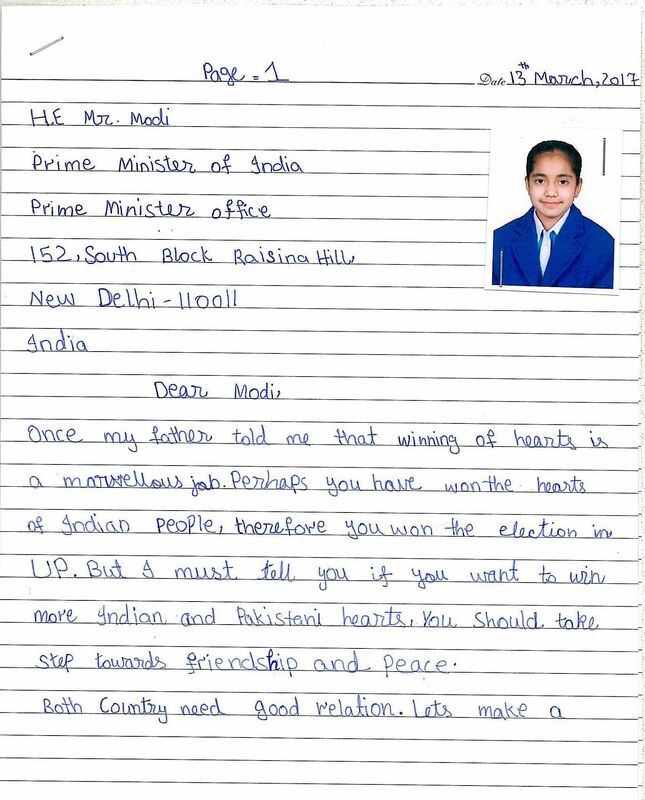 ISLAMABAD: Congratulating Prime Minister Narendra Modi for the Bharatiya Janata Party’s (BJP) historic mandate in the Uttar Pradesh Assembly Elections, an eleven year old Pakistani school girl wrote to him saying that he should now focus towards winning more hearts of Indians and Pakistanis alike, by becoming a bridge of peace between the two nations. In her letter, Aqeedat Naveed highlighted on the need for peace between India and Pakistan, and said that Prime Minister Modi can help speed up the process, reports DunyaNews. “Once my father told me that winning of hearts is a marvelous job. Perhaps you have won the hearts of Indian people, therefore you won the election in UP. But I must tell you if you want to win more Indian and Pakistani hearts, you should take steps towards friendship and peace. Both countries need good relation. Let’s make a peace bridge between India and Pakistan. Let’s decide that we will not buy bullets, will buy books. We will not buy the guns, will buy the medicine for the poor people,” Aqeedat wrote in the two page letter. She further emphasized that the choice between peace and conflict lies open for both the nations, and signed off by congratulating the Prime Minister for the UP Polls victory. 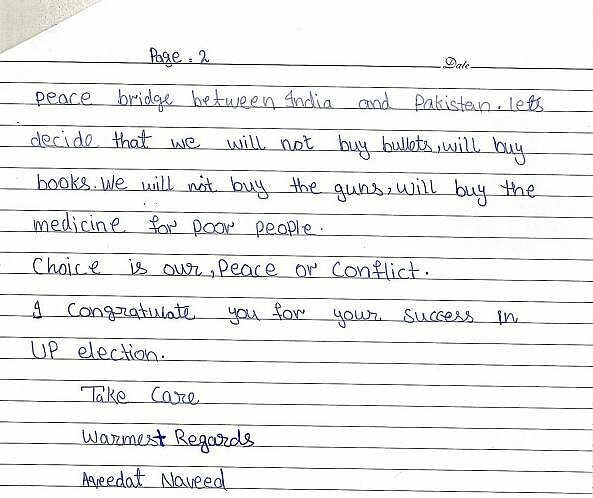 The fifth grader, who hails from Lahore, had earlier written a letter to Indian Foreign Minister Sushma Swaraj as well on the matter of peace and has also received several responses from officials in New Delhi.